Below you will find our 'Notice Board'. at each of those times. This is the first time in the week in which we gather. The Breaking of Bread meeting is devoted entirely to worship; our thoughts centred on the Person of the Lord Jesus. A table is central and on it is a small loaf of bread and a cup of wine. These are emblems representing the body of the Lord Jesus and His precious blood. Our meeting is quiet and reverent in which our time together is scattered with contributions of prayer, the singing of hymns, and some moments of quiet contemplation. All of these contributions usually reflect the collective thoughts of all gathered without any rehearsal beforehand! Each of the men who rise to pray, suggest a hymn or share a thought from the Bible does so as led by the Holy Spirit. Although the women during this time remain silent, (except during the singing of hymns) their inaudible contributions of prayer and worship are no less important than the men’s contributions are. This is the Divine order as instructed in the Bible and works beautifully that way. At some time during the meeting (usually closer to the end) thanks will be given for the emblems, which are then passed from one to the other until all in the assembly have partaken. The purpose of our gathering is an act of obedience to the command of the Lord Jesus to do so in order that we might remember Him who suffered, bled and died on the cross for our sins, and to offer to God our worship and thanksgiving for His love and goodness to us. Perhaps He commanded this of His people because we are inclined to so easily forget! Although only those in fellowship in our church partake and contribute at this meeting, nobody is excluded and anyone is welcome to come along and observe. Many people have begun their Christian lives as a result of observing what is done and said at such a meeting. We would much appreciate a letter of commendation from our overseas visitors. In spirit now draw near. Grant this our soul's desire. And wholly stayed on Thee." Our Bible Study is a time of discussion on what the Bible teaches. The timing of this meeting takes place while the children are enjoying Sunday School upstairs. This also allows more people to benefit from the passages of Scripture under consideration. We also have regular visiting speakers throughout the year and at these times we enjoy specific Bible teaching on a particular subject or chapter. And view the Saviour there." Running in conjunction with our Bible Class during term time is our Sunday School for the younger ones where they have the opportunity to learn what the Bible teaches through the 'Go Teach' syllabus, which is especially produced to help parents and teachers teach the Word of God to the next generation. We aim to teach the fundamental truths of the Bible giving basic Bible history and covering the main events in the life of Jesus Christ. We believe that a good foundation of Bible knowledge will help young people apply these truths to their everyday lives and present the challenge of the Gospel encouraging personal obedience to God's Word. We would love to welcome you and your children to this group and invite you to please contact us or call Rebecca (07797 736 144) or Heather (07829 777 072) if you require further information. 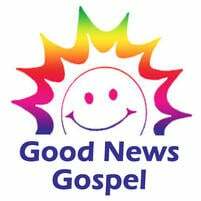 Our Gospel service is family friendly and we warmly welcome anyone who would like to come along to enjoy singing, hear the message of Good News and enjoy refreshments afterwards. This is not a long service, which makes it easier for families with little children. Periodically we have a special Family Gospel Service, which starts at the earlier time of 3:30pm incorporating our children's work. This service is especially geared for the young ones and their parents and of course anyone else who may want to be with us. Notice is given in good time so that everyone knows when this is going to take place. Please note, these meetings are completely free and no collection is taken. It is vitally important that everyone gets to hear the message of the Gospel because everyone has the right to choose for themselves what they will do in response to what God has done especially for them. If they never hear then they will never know. What then is the message of the Gospel? Why not come and hear what the Bible has to say for yourself? And, O, He is mighty to save! It reaches and purifies me." It has been said that “the prayer meeting is the pulse of the church,” and this when the needs of our church family members are collectively brought before God. The needs of missionaries and itinerant preachers are also considered as well as local and worldwide affairs. The list of things for which to pray is endless, nevertheless we are persuaded that God is able to deal with the needs of each one and it is a real blessing to be able to bring before Him all our cares and concerns with thankful hearts. And cry, Behold, he prays! Lord, teach us how to pray." This is something that you and your children can partake in without even leaving your home! Postal Bible School here in Jersey is a well established form of Bible Education for all ages. We currently make use of lessons provided by the Bible Educational Services which distribute Bible lessons and courses worldwide. 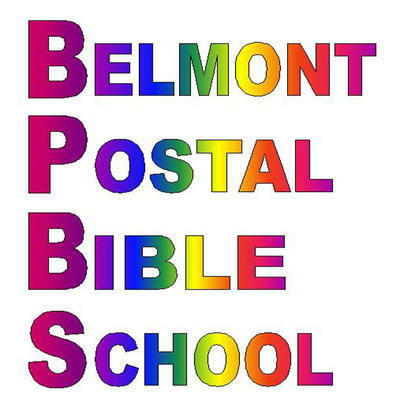 Upon application either using our invitation card or request via email, would-be students are issued with a set of sample lessons to try out along with an accompanying note to parents or guardians to explain how the Postal Bible School operates. 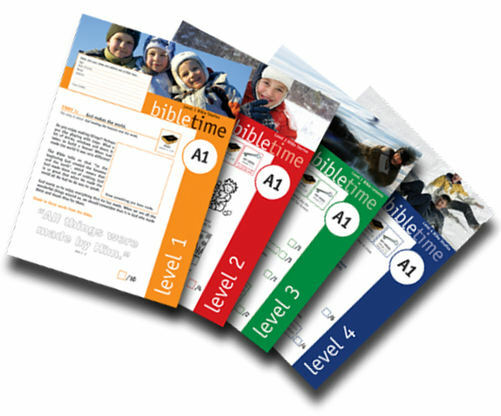 Conducted within the privacy of their own home students complete the lessons in one month instalments and then return them by post for marking. Prizes are presented on an annual basis according to the amount of points each student has earned during the year. Bible lessons are provided for all ages from five upwards, and adult courses are also available.